Silicon Labs announces the acquisition of Zentri, an innovator in low-power, cloud-connected Wi-Fi technologies for the Internet of Things (IoT). Zentri helps customers worldwide securely connect and manage their products across a wide range of industrial, commercial and consumer applications. 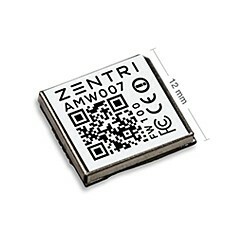 Zentri’s unique combination of modules, embedded and cloud software, APIs and tools enables rapid development of secure IoT end node products in a matter of weeks. By eliminating the need for wireless design expertise and providing a library of cloud-connected applications, Zentri allows IoT device makers to focus on differentiating their products and speeding time to market. “Silicon Labs is proud to join forces with Zentri,” said Tyson Tuttle, CEO of Silicon Labs. The global IT research firm Gartner recognized Zentri in its “Cool Vendors in IoT ‘Thingification’ 2016” report.